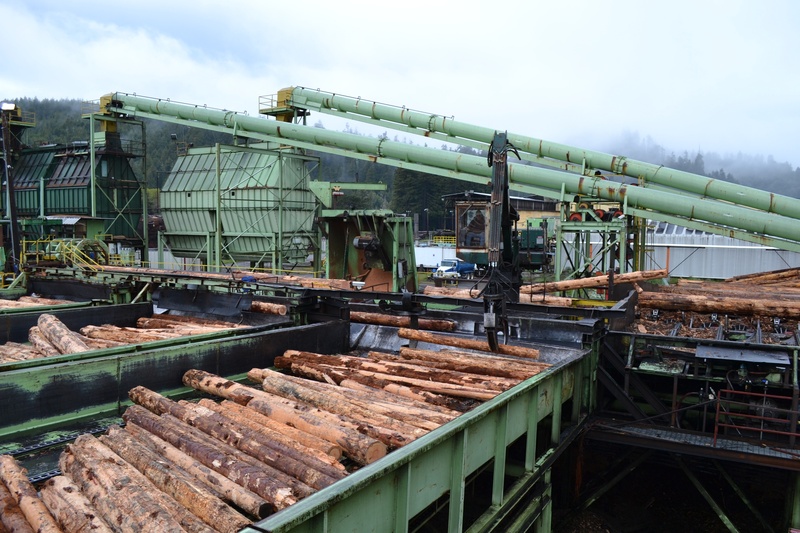 Humboldt Redwood Company operates the sawmill in Scotia, on the same site where The Pacific Lumber Company once processed large redwood logs into lumber. Pacific Lumber Company or PALCO, as locals have known it for generations, began with the purchase of 6,000 acres of timberland along northern California’s Eel River, and grew to over 200,000 acres of forestland and four sawmills at the peak of operations. Two of those sawmills were located in Scotia, Mill A and Mill B, and the company-owned town of Scotia was built around those operations. Mill A was completed in 1887, employing 150 men and with lumber shipments exceeding 20 million feet annually. This mill was destroyed by fire but immediately rebuilt around the turn of the century. 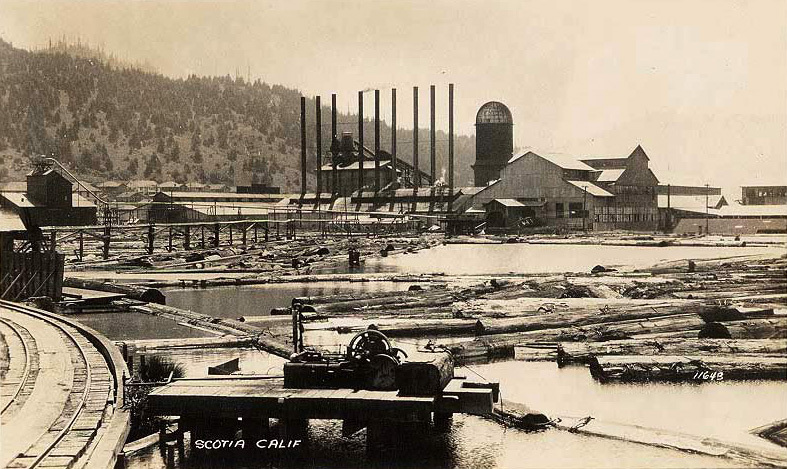 Mill B was built and began operations in 1910 and became the world’s largest redwood sawmill. Both older sawmills were eventually closed by PALCO, which built a new and modern, state-of-the-art sawmill in the Mill B complex. To see a video of the historic Scotia Sawmill operating in the past click here. In 2008 Pacific Lumber Company was reorganized, and Humboldt Redwood Company assumed control of the sawmill. Multiple upgrades and improvements have been made to the Scotia sawmill, which continues in operation today.